Millions Against Monsanto: it is the name of an organization. It is a name with a weighty meaning. And I suspect the name might actually understate the numbers. I think the numbers will grow exponentially, when more people are educated. This page is more about the reasons I can see behind the name, rather than the actual organization. I believe the reason so many, probably most of the people who familiar with how Monsanto does business are against so much of what they are doing is because they appear to be breaking some of the most foundational codes of morals and ethics known to man. God's law. Anyone with even the most vague sense of right and wrong, who has not been propagandized (or has nothing financial to gain from GMOs), can recognize this. They have been responsible for many questionable things. My main focus here is Monsanto's development and promotion of GMOs, (genetically modified organisms), in our food supply. Our pastor is preaching through the book of Deuteronomy this year. When I wrote this, he was teaching through Deuteronomy chapter five, which contains the ten commandments. 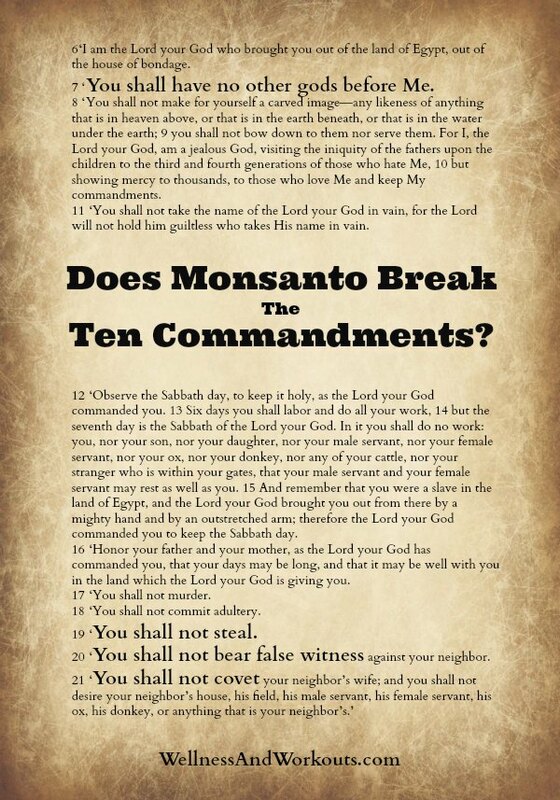 With all the recent legislation concerning Monsanto, and the world-wide protest earlier this year, it got me thinking: how might Monsanto be breaking the ten commandments? I am not sure how many of God’s laws they might be breaking. But here are four that I strongly suspect. The first commandment: “You shall have no other god's before Me.” How does Monsanto seem to break this command? Monsanto seems to be trying hard to play God. They do not seem content with the way God has created living things. They genetically engineer plants and animals, and tell themselves and others that they are "improving" on the amazing design God already put there. They are working hard, along with the government and the mainstream media, to make our food decisions for us. They seem to be trying hard to violate the personal freedom of choice God has given us. When God created Adam and Eve, he allowed them more choices than Monsanto seems to want to give us. God could have created us to be robots, to have no free will. But He wanted to give us freedom to choose to live for Him, or not. He wanted us to be able to love Him, and show our love through our obedience. At least Adam and Eve had a choice about eating from the tree of the knowledge of good and evil! If Monsanto "succeeds" at playing God, we will have no choices. If Monsanto gets what seems to be its way, we will not be able to grow or buy any foods that they do not provide or somehow earn profit from. Monsanto also seems to have made a God out of money. Money is a neutral tool, in and of itself. It can be used for good. But when it is worshipped, evil can be the result. I Timothy 6:10 says, "The love of money is a root of all kinds of evil." What is happening now with Monsanto and their patent applications for living organisms seems to be an example of the kind of evil that can come from the love of money. Monsanto seems to have made a god out of a love for power. Their former employees have infiltrated many top spots of the U.S. government. They seem to have god-like control over the mainstream media. No matter if you are more liberal or conservative, if those terms even have meaning anymore, politicians you may have once respected seem to have sold out to Monsanto, and have voted to protect the company. Even ones who say they want labeling for GMOs, like Elizabeth Warren. But actions speak louder than words. Their actions tell us that their anti-GMO talking point are nothing more than that: empty talking points. How does Monsanto appear to steal? They try to steal the credit from God for the design of living organisms. They apply for, and get, patents for living things. They potentially steal the health of individuals who have been, or will be, hurt by GMOs. Research shows that GMOs are likely related to an increase in food allergies. GMOs may also cause serious fertility problems. It may take a generation or two to witness how devastating this might be for families who regularly consume GMOs. Then, what will we do? They steal the profits from farmers who can no longer harvest and re-plant seeds that they paid for, cultivated, and harvested with their own time, money and labor. They get undue profits from the sweat of other's brows. They want to steal the freedom of choice from most farmers, to be able to plant non-GMO seed crops. For any farmer who lives near other GMO fields, they will not be able to avoid contamination of their crops by neighboring GMO fields. When Monsanto finds any of their patented seeds mixed in with the non-GMO seeds, the farmers get in too much trouble to make their efforts worthwhile. They steal the freedom of choice from consumers by making it difficult to find and identify wholesome, GMO free foods. How does Monsanto seem to bear false witness? When I think of "bearing false witness," I mostly think of lying. But deceit is certainly also a form of false witness. Monsanto is working hard to prevent food products that contain GMOs to be properly labeled. 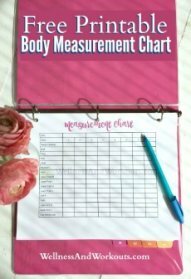 The average consumer has no idea when they are buying and eating these so-called foods. And that's the way Monsanto seems to like it. But even the average consumer is savvy enough that they would likely choose an alternative if they saw that the food they were considering purchasing was genetically modified. Monsanto not only wants to be free to deceive consumers, they want the "right" to deceive codified into law. Please. Monsanto tells people that GMOs are necessary to “feed the world.” Nonsense. There are plenty of resources to feed all who are in the world now, and many more, should the population continue to increase. God does not need Monsanto to “save” the food supply. Most of the problems with the world food supply are politically related. How does Monsanto appear to covet? Coveting as a form of wrongdoing is no longer a familiar concept in our culture. To covet means to intensely desire something that belongs to someone else. Unfortunately, it is one sin that has become socially acceptable in the United States. If we made an effort as a nation, and as individuals, to avoid coveting, we would not have the debt problems that we are suffering from right now. Not collectively, nor individually. Many individuals are turning away from coveting and working their way out of debt. But Monsanto? I see no effort on their part to change for the better. Monsanto seems to show some definite signs of coveting that go off the charts. Like I mentioned earlier, they seem to want to play God. They want to own things that only God can own. In God's word, He says “...every beast of the forest is Mine, and the cattle on a thousand hills.” -Psalm 50:10. If Monsanto's efforts to "create" and patent new variations on living organisms, then own the "rights" to them is not coveting, I don't know what is! By applying for patents on their genetically modified life-forms, they seem to want all the credit and glory for "creating" those organisms. But God will not share His glory with another. He is the creator, not Monsanto. Monsanto seems to covet control over our food supply. How? By it's multi-pronged approach. It is an owner of many processed food companies. It supplies farmers with a great deal of their seed. And it is buying up many small seed companies that supply backyard gardeners with seed. I think it is safe to say that Monsanto appears to covet complete control over our food supply. There have been some very oppressive bills written and at least brought to committee or beyond relating to backyard gardening and livestock sponsored in the name of "food safety" in the past few years that would require backyard homesteaders to register all their animals with the government. Are Monsanto and their lobbyists behind it? I do not know. But based on their other behavior, it would not surprise me if they were. No wonder an organization such as Millions Against Monsanto exists. Millions Against Monsanto. This group exists for so many reasons, including the ones stated above. Are you against Monsanto? Do you think I’ve been to hard on them? Not hard enough? Can you think of other ways they may be breaking God's laws? Please leave your comments, below.